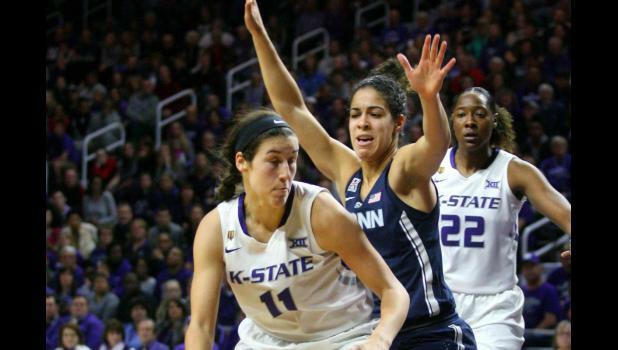 On the strength of a19-0 run in the second half and three players with double-doubles, Kansas State broke open a tightly contested game to improve its home-court winning streak to five games with a 73-55 victory over Lamar on Wednesday night, Dec. 5, at Bramlage Coliseum. Junior forward Peyton Williams of Topeka, who has Holton connections, tallied her fourth double-double of the season with 18 points and 12 rebounds. This was her 11th career double-double.